"It's a celebration of making stuff!" Grayson Perry RA. 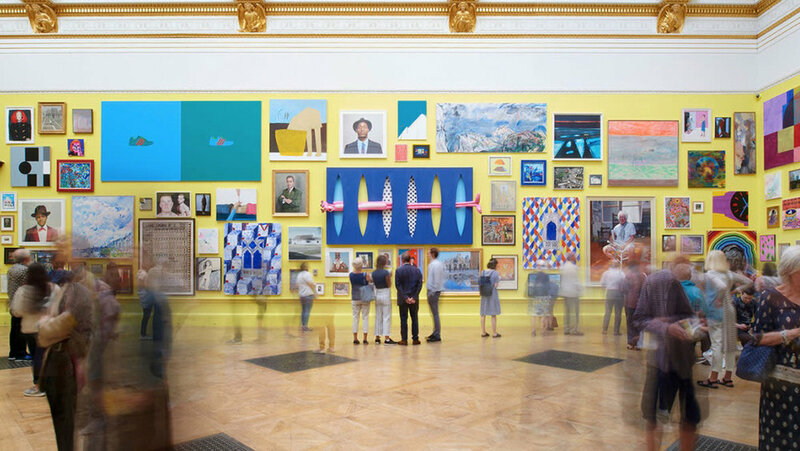 The Royal Academy 250th Summer Exhibition is in full swing until August 19th. 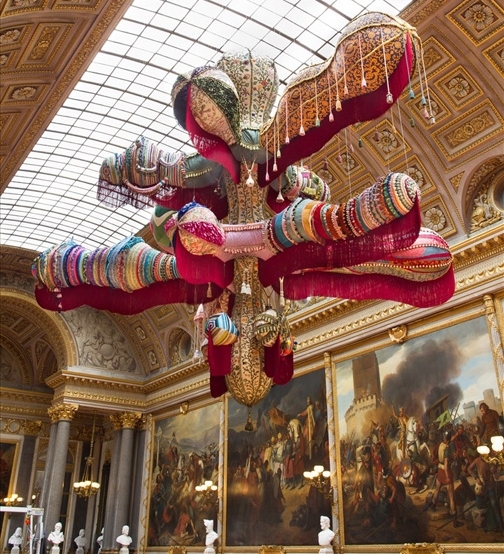 As the largest open submission exhibition in the world unknown, emerging and lesser known artists have the opportunity of seeing their work displayed among the work of the famous. The summer show has run continuously for 250 years and this year proves to be one of the most colourful shows so far... as we would expect having been coordinated by Grayson Perry RA. Looking around at the eclectic selection of painting, sculpture, film and prints which are highly representative of what is happening in the contemporary art world, I wonder what early critics would have made of today’s selection! It is hard to believe that in the late 1800’s the then rebellious young Pre-Raphaelite painters were vilified by the press and public. Even the great writer Charles Dickens, railed against their "wasted talent"! When Millais’ painting of Ophelia was displayed in the Summer Exhibition of 1852 critics slated it, now of course it is one of the gems of Tate Britain’s collection. The two buildings of the Royal Academy were recently united with a new corridor where Millais' paint palette is on display. Clearly, he was eventually forgiven! The artworks spill over into a greater area than in past years, and as this is a celebratory year there are plenty of other activities, talks and workshops taking place. 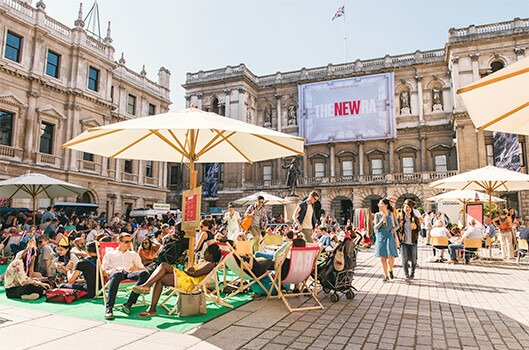 Don’t miss The Great Spectacle or the Friday Lates when the gallery stays open until 10pm, and enjoy music and a cocktail in the courtyard from the comfort of a deckchair. With so much on view it’s hard to make a choice... we’ve made a pick of some of our most coveted from around £400 to £50,000.